Our rich history has made us one of the most adored islands in the world. If you recall, we inherited strong roots from the Arawaks, Spanish, British and Africans, plus the many other minority nationals including the Chinese, Syrians, Jews, Indians and Lebanese. The evolution and amalgamation of these cultures not only enabled us to create masterpiece products depicting the beautiful blend of cultures, but also afforded us the exposure to many of the unique products from each of these cultures in their time. 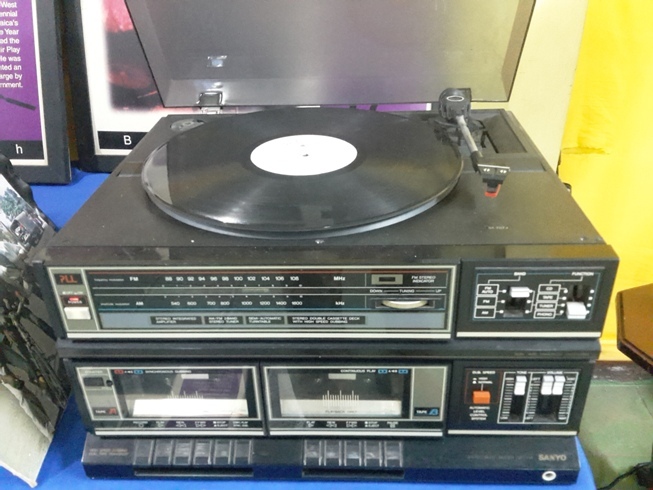 Many of these products have become relics or artifacts. 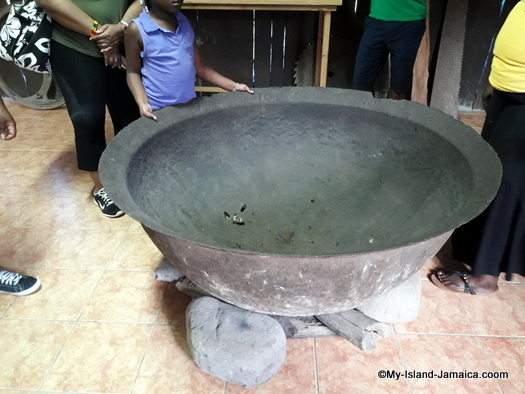 Perhaps the least available today are those from the Arawaks era, but the folks at the White Marl Arawak Museum in St. Catherine must be commended for their fine work in helping us to retain much of what these loving people contributed to us. 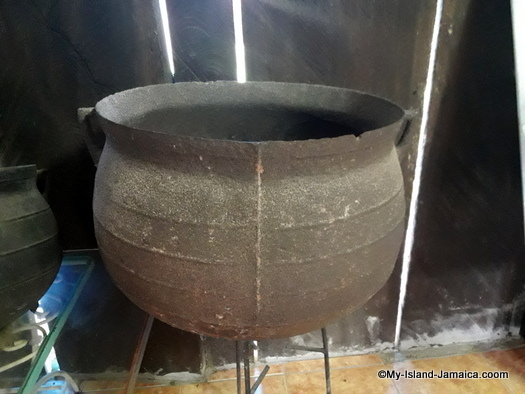 This museum, built in the shape of an Arawak hut is located on the site of an Arawak village. This small museum faithfully records the contribution made by the Arawaks to our culture as well as their way of life. There are hunting and fishing implements, jewelry, carvings and pottery. The contribution of the English, Spanish and African is quite significant. We still relish some to the old European and African magnum opus. Among these are specially hand crafted picture frames, household items, sculptures and furniture. Our African ancestors’ contribution in perhaps the most significant and since over 90% of our population has African roots, its no surprise the deep concentration of African artistic influence we are blessed with. Much of these old are now highly prized due to their intricate designs, beauty, uniqueness and creative features including charming, quaint chairs made from special long lasting woods with adroitly carved designs. In the past it amazes me some of the items we were cherishing as antiques but as I grew, I recognized their purpose. 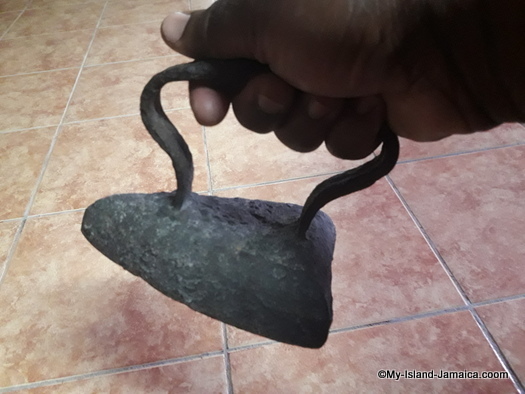 By the way, coal pots, generally used for cooking, were also used (back in the days) with heating irons, which would be used to iron lighter clothing such as shirts and women's dresses. Heavier self-heating irons were used to straighten out work clothes and heavy trousers. 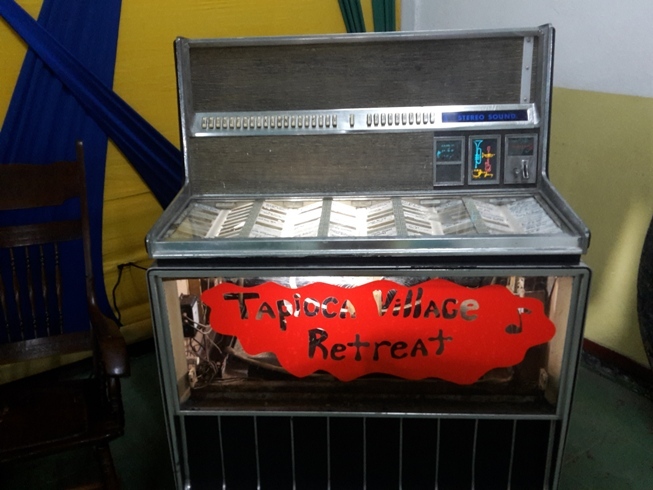 I remember my GrandMa’s own 'selfheater', I used it to iron my school uniform. 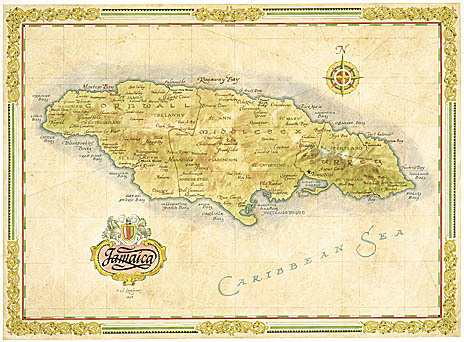 Maps also seem to be one of the popular Jamaica antiques item nowadays. Since colonial government the structure of the parishes has been changed at least three times. During each change, maps are created depicting the new geographical set up and boundaries. These maps depict these changes as they were in their original forms on special parchment papers. What makes these antique maps even more special are the frames in full-color antique (dirty brown and black). No Jamaican antique collection would be complete without mats and rugs though. With the majority of our earlier mats and rugs being hand woven from natural grasses, these have become family heirlooms. If we were covering the floors so intricately, you know that we are also brandishing the like to our bedrooms; a very popular bedroom fixture was the "bathroom in the bedroom combination". This included a water jug, a face basin, and a chimmy (potty) made from enamel. Of course, a special set was put aside for guests or special occasions. This is still a trend in many of our rural communities. So anyways, grab a few to celebrate and share our rich Jamaican heritage. What is Jamaica Day about?